​Wellstone Jewelry offers full wholesale designer collections in all of our jewelry themes. ​We are the original designers and creators of Wellstone Jewelry. Every piece of jewelry we offer comes from our shop here in the beautiful Sierra Nevada foothills of California. All designs are original though many of the motifs are taken from historic cultures. Every piece of Wellstone Jewelry is lovingly detailed and carefully finished. Wellstone welcomes your wholesale inquiry and we look forward to serving the retail requirements of your store. 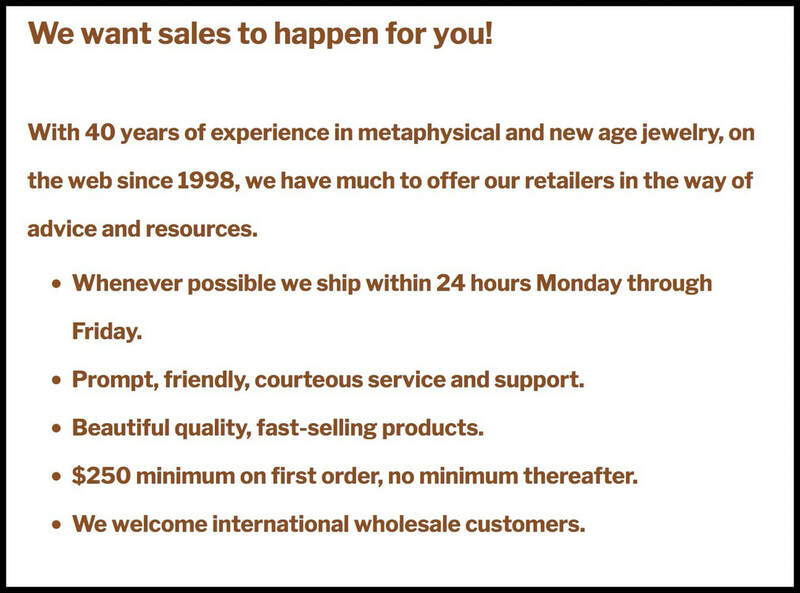 We have been in business since 1977 creating quality metaphysical jewelry and helping retailers to make sales. We know that you need quality jewelry that will move quickly in your store and be delivered to you in a timely fashion. Wellstone offerings are of the highest quality obtainable in design, materials and workmanship. We use only the finest metals and the quality of our semi-precious stones is unsurpassed. Because of efficient inventory control and Tom's jewelry making skills we can nearly always ship same or next day. If we can't we'll tell you when you place the order. If we say we're shipping it that day or the next then that's when it will be shipped. We began Wellstone while Tom was working with quartz crystals for healing and teaching classes in the metaphysical properties of stones in 1978. We were unable at that time to find crystals set as jewelry, so we began making them ourselves. 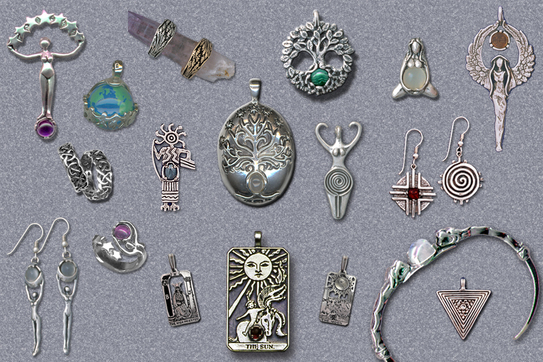 We understand the metaphysical qualities of the stones and metals and work consciously to create items of jewelry that are wholesome and beneficial to those who wear or sell them. Every piece of Wellstone Jewelry comes with a descriptive card telling about the symbolism of the piece and its origin. These are often most valuable in helping the customer decide on a purchase. Wellstone offers an aggressive exchange policy. We don't want you to sit on merchandise that doesn't move. If you have Wellstone Jewelry that has sat too long, gotten stale, has not sailed out the door, please look through the catalogue or talk to Nadine at Wellstone, make some other choices and make an exchange that works for your store. ​Custom orders are not returnable unless there is faulty manufacturing or an error on our part. For the complete printed wholesale Wellstone color catalog, please fill out the form below or call us at 800-544-8773. To see all of our retail paper catalog immediately online, click here.